Did you know that a fresh Upholstery Cleaning in your Automobile from Arvada Carpet Cleaners can prolong the life of your Upholstery by about 36 months over the life of your car? The average life of a car on the road is, amazingly, over 11 years, so you spend a great deal of time putting your rumpus in the same seat day in and day out. Don't you want your Car's Upholstery to smell so fresh and so clean? You can certainly get that feeling with a fresh Automobile Upholstery Cleaning from Arvada Carpet Cleaners. We have been cleaning Upholstery since 2009, and have a pretty slick reputation of providing quality customer service in the communities of Arvada, Broomfield, Westminster, Lakewood, Boulder, and Golden. The level of service that we provide is simply second to none. 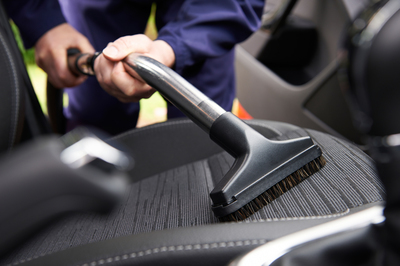 First off, we travel to your location, whether that's your home or office, and while you are working or spending precious time with your family, we will clean your Car's Upholstery. What's better than that fresh, non-toxic smell that is associated with your Carpets being cleaned? You want to smile every single day that you get in your car, and we can give your nose that extra fresh aroma it deserves. Give us a shot, and see if your Car's Upholstery smells and looks like we say it will after we're done. We're just a ringy ding dong away at 720-442-9035, or complete the special Upholstery Cleaning quote form to the right, and we'll be back to you in a jiffy. Arvada Carpet Cleaners awaits your call today!